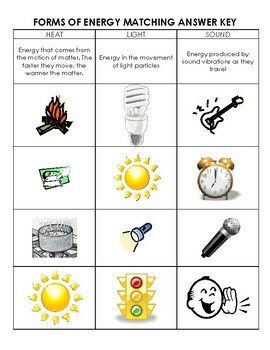 Want a great way to review, practice or asses your students understanding of the different forms of energy- this is it! 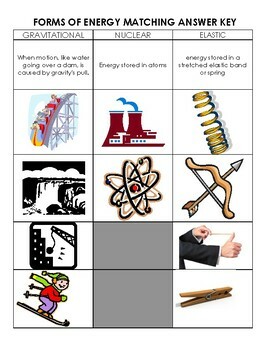 Forms of energy included are: Light, Heat, Chemical, Mechanical, Electrical, Sound, Gravitational, Elastic, Nuclear energy. 3 Worksheets are set up so that you can do some or all of these energies- all at once or 3 at a time. 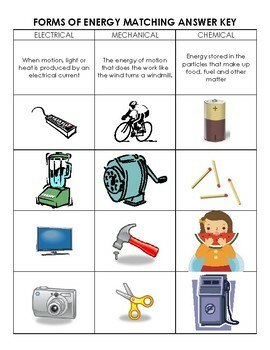 This is a great way to help students visualize and understand the forms of energy! 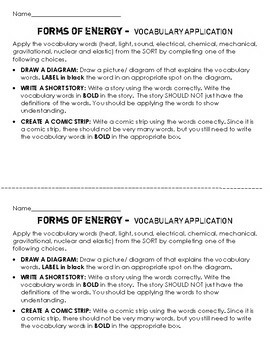 NEWLY included: A vocabulary review application project where students use the sort words in a diagram, story or comic strip. Students then keep track on an energy log the types of energy they use in a day! If you like this product, check out a cut and paste on How Energy Changes from one Form to Another! After teaching about the different types of energy, try this activity to help students understand how many types of energy common things use. This product is also part of a bundle! Check it out!